*San Francisco Residents: Free with proof of residency. Admission for non-residents is $9 general, $6 youth 12-17 and seniors; $2 children 5-11; children 4 and under FREE. 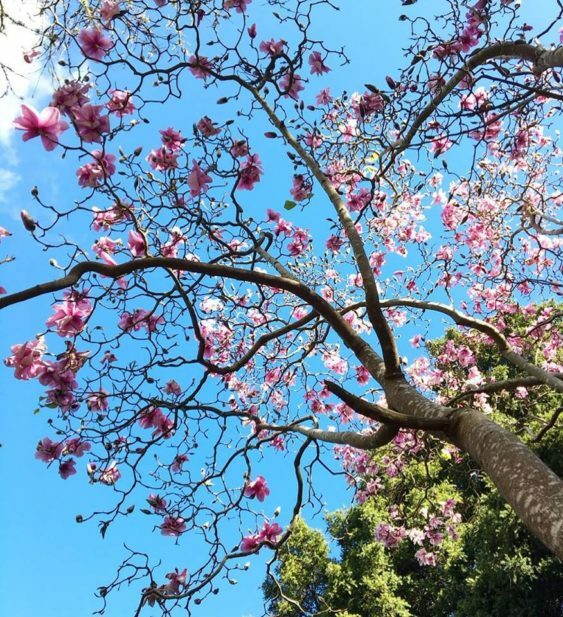 One of San Francisco’s most breathtaking natural marvels, the annual bloom of nearly 100 rare and historic magnolias with trees reaching 80 feet, is typically at its peak from mid-January through March at the SF Botanical Garden. 2019 Update: First Blooms are Here! Peak in Early Feb – As of February 7, more and more Magnolias are blooming every day. With above average temps and no rain, this should make for an epic Magnolia season. Check Facebook for updates. Velvety silver buds on the often bare branches of these elegant trees, many rare and historic, open into dazzling pink, magenta, and white flowers, filling the wintery garden with dramatic splashes of color and sweetly fragrant scents. Are the magnolias blooming right now? Please note that weather may affect the blooms and at the beginning or end of the season, there may be fewer blooms than expected. > Magnolia Tip: Always check the SF Botanical Gardens on Facebook, Instagram and Twitter before heading out for the latest updates on how things are blooming. Visitors to the garden can pick up a free Magnolia Highlights Map at the visitor services kiosk to help you tour and identify the highlights of their collection. The map corresponds to pink identification signs that will be placed throughout the Garden. San Francisco Botanical Garden is home to the most significant magnolia collection for conservation purposes outside China, where the majority of species originated. Its current collection includes 51 species and 33 cultivars including many prized examples from Asia.